Gotham Gastroenterology (New York) - Book Appointment Online! 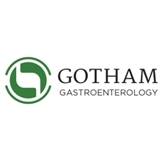 The physicians at Gotham Gastroenterology offer comprehensive and highly specialized care in gastroenterology, endoscopy, hepatology, women’s GI health and nutritional services. Our physicians and staff strive to provide the highest quality medical care and services in a compassionate, professional and personalized environment. Our physicians are expertly trained in endoscopic procedures, which allow direct visualization of the intestinal tract for optimal diagnosis, treatment, and prevention of gastrointestinal diseases. Really like Dr. Glockenberg. Great office space, and I never felt like I was being rushed through my appointment. She listened attentively to my concerns, and addressed them all. Her bedside manner is soothing, calm, and professional, which is great to have in a doctor who deals with potentially embarrassing issues like a gastroenterologist does.